Want to do something for God but don't know what? Want to help others but don't know who? Want to know what it is you're really good at doing? Your gifts may feel small and insignificant. But God can use them to work a miracle! Inspired by the biblical story of the feeding of the 5,000, Live to Give delivers a message of hope that we all have something to give. Written in the down-to-earth, candid voice of the gifted young man who as a kid founded a relief ministry that has saved and improved countless lives in Africa, 'Live to Give' is the message that every teen needs to hear: You are more special than you know, and you can do big things. A teenage philanthropist who has built a high school, two medical clinics, and a dormitory in Africa--all before the age of 16--Austin Gutwein shares how to take what may seem like the simplest of talents, gifts, and interests and use them for something Jesus can use to move mountains. 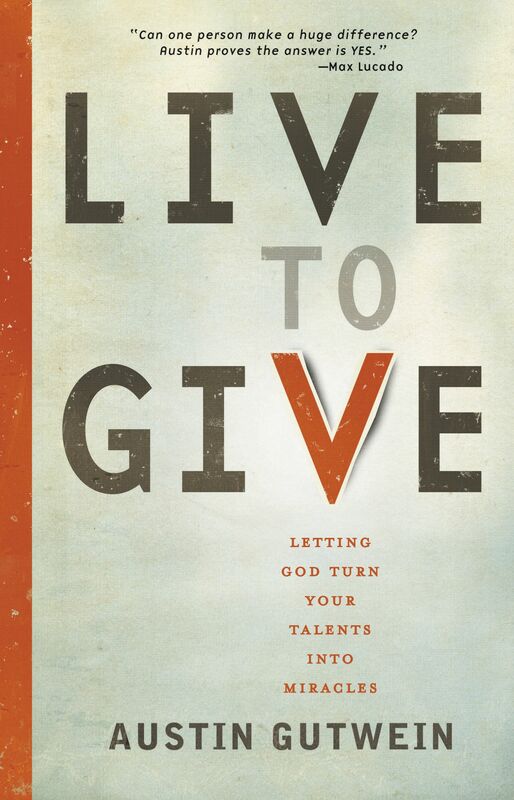 Live To Give by Austin Gutwein was published by Thomas Nelson in August 2012 and is our 15115th best seller. The ISBN for Live To Give is 9781400319930. Be the first to review Live To Give! Got a question? No problem! Just click here to ask us about Live To Give.